With our superior 3 step cleaning process, we provide a high quality (but value for money) carpet cleaning service. "When you want the job done right"
"I have known Derek & Tracy for 8 years now. I have used their services within that duration for both carpet cleaning and pest control. Working in the Real Estate field, we are constantly in need of reliable, honest, efficient professionals. Derek & Tracy at Just Professional Carpet cleaning have always given 110%. Always there within short notice too. I have never dealt with a company that is so thorough, and a amazing at what they do. Carpet stain & odour removal I believe is their speciality. I cannot recommend Just Professional highly enough." Why use Just Professional CARPET CLEANING & PEST CONTROL? Just Professional use a three stage cleaning process for superior results. We use a three stage cleaning process, using the highest quality cleaning chemicals and state of the art equipment. Our process provides superior results to those cleaning companies that apply cleaning chemicals and rinse in a single pass. The single stage cleaning process used by these companies delivers inferior cleaning results and can leave a residue of cleaning chemicals in the carpet. The extraction clean only leaves the carpets damp, meaning you can start using the room again 2-3 hours. (Traditional wet cleans means you may not be able to re-enter for 12 hours or more). Rinse & neutralise: Surfaces rinsed, remaining dirt and chemicals removed. 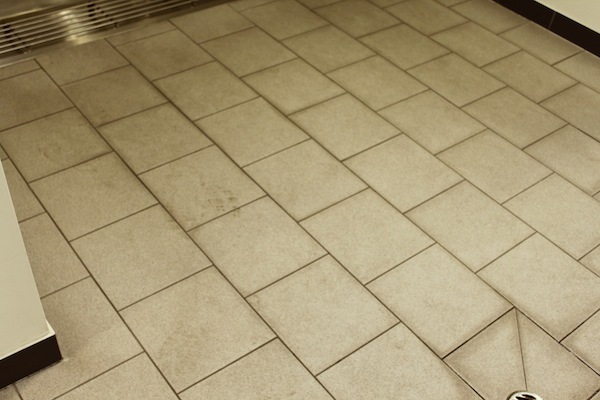 Tiles surfaces are dry in 30 minutes, so you can get on with your daily business.